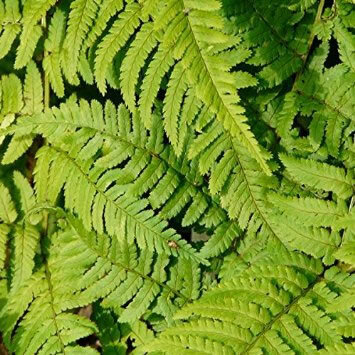 Broad Buckler Fern. A handsome fern forming a shuttlecock of dark green, prettily crisped, finely divided fronds with midribs and stalks covered in pale brown scales. Height 60-90cm. Spread 45cm. Deciduous. Foliage colour Green. Hardy. Sheltered Site. Planting instructions Water thoroughly before planting.